The Rare Fortnite Waypoint Outfit has received a new Selectable Style following the Season 8 v8.00 update. 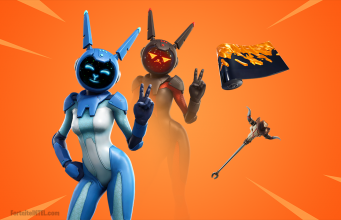 Occasionally Epic Games will revisit old cosmetic items and give them slight modifications for a variety of reasons. It appears that the Waypoint skin has silently received this treatment. Prior to the discovery the of Waypoint skin’s new Selectable Styles, the Ragnarok skin was known to receive a shoulder pad-less style due to a frustrating bug relating to the design. 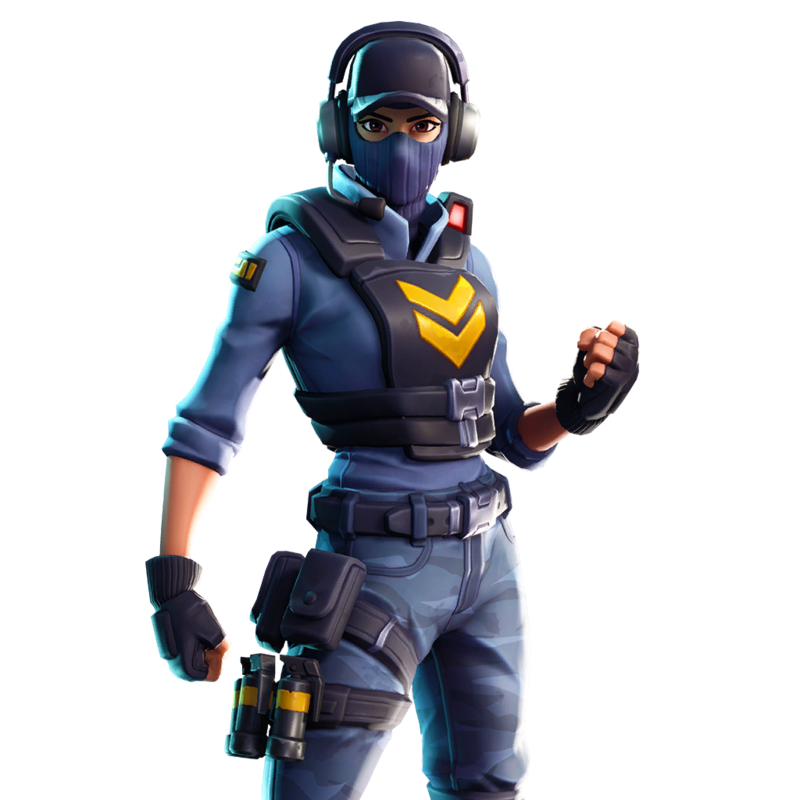 It’s unknown at the time of writing exactly why Epic choose to give the Waypoint skin a new style seeing as it had no known issues and initially released in December of 2018. Regardless, the new Selectable Style removes the face mask, hat, and headset from the Waypoint skin- revealing the female skin’s face. At the time of writing it is unknown how to unlock this Selectable Style as it was not given to players who own the Waypoint skin. It’s possible that Epic Games will release Challenges for the new Style, or it may be unstable as of the v8.00 update and is awaiting finalization and testing prior to being released. 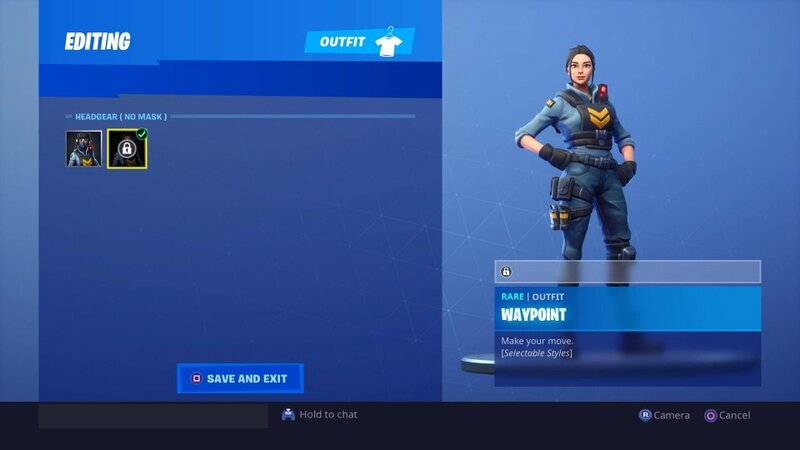 The Waypoint skin is available via the Fortnite Item Shop for 1,200 V-Buck. It was last seen in the Item Shop on Tuesday, February 19th. 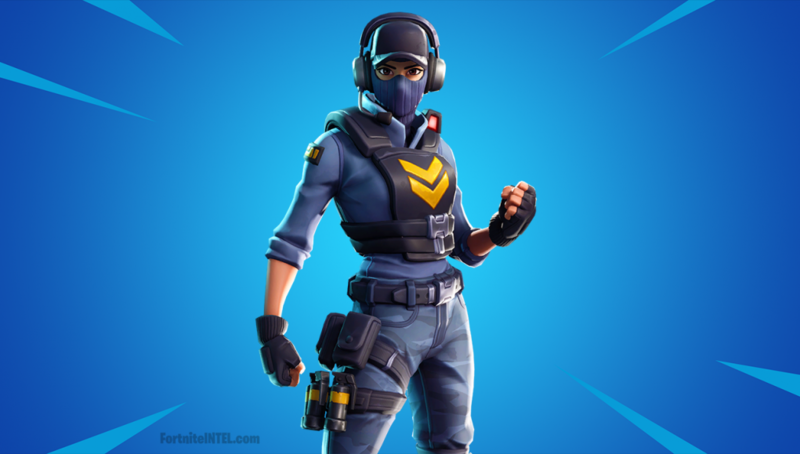 What are your thoughts on the new Selectable Styles for the Rare Waypoint Skin? Stay tuned to @FortniteINTEL / FortniteINTEL.com to know when the new Style options release!